Cinema Fearité mourns the passing of John Carl Buechler with Cellar Dweller. The horror world was rocked earlier this week by the death of writer/director/special effects artist John Carl Buechler. Although hardly a household name, Buechler was famous in the horror world for directing Friday the 13th Part VII: The New Blood, the entry in the franchise that introduced Kane Hodder as Jason Voorhees. But Buechler was more than just another hack who lucked into a Friday the 13th movie. The practical effects genius also directed a segment for The Dungeon Master (or, as some call it, Ragewar) and brought Troll to life. And, the same year that he did The New Blood, he made the nifty creature feature Cellar Dweller. 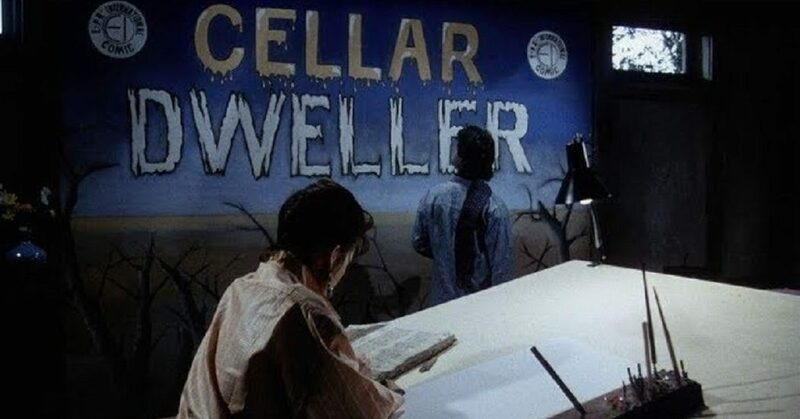 Cellar Dwellar is about a young comic book artist named Whitney Taylor (Debrah Mullowney from “Earth 2” and “Eureka”) who moves into an artist commune building to work on resurrecting an old comic book called Cellar Dweller. The original artist of the book, Colin Childress (Re-Animator’s Jeffrey Combs), died thirty years earlier in the basement of the building, and Whitney hopes that the surroundings will inspire her creativity. She finds more inspiration than she can handle when her drawings of the grotesque titular monster come to life and prey upon the other tenants of the building, slowly working their way towards their creator. Cellar Dweller is as pure of a B-movie as one is bound to find. John Carl Buechler directed the film from a script written by ‘Kit Dubois,’ which is a nom de plume of Child’s Play mastermind Don Mancini. The plot is thin and predictable (until the jaw-dropping ending, that is), but story is not what schlock fans look for in their movies. 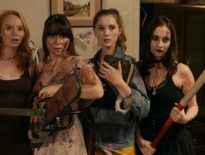 Cellar Dweller has an awesome monster, cheer-worthy kills, and a premise that is just creative enough to keep things interesting for its entire 77-minute running time. 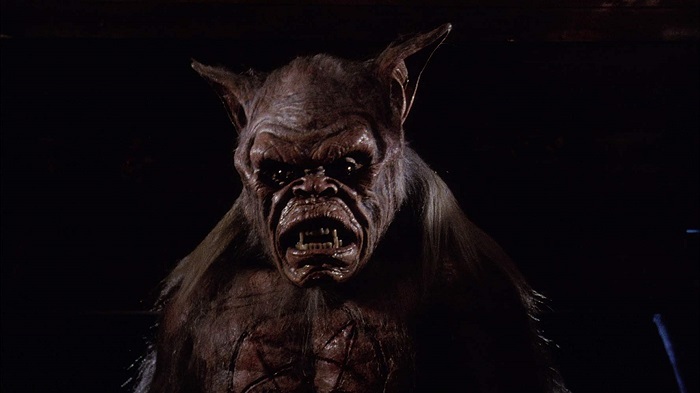 Because John Carl Buechler was a special effects artist first (for movies like TerrorVision and Crawlspace), he pulled double duty and took the lead on the visuals for Cellar Dweller, designing the creature and supervising all of the monster effects himself. The monster was brought to life through a combination of advanced animatronics, simple puppetry, and an old-fashioned man-in-a-monster-suit performance (thanks to fellow effects master and professional creature actor Michael Deak). And the beast looks awesome, big and hairy and muscular with a face that appears to have been ripped right out of an episode of “Tales from the Darkside.” Basically, it looks like a comic book come to life. Which is exactly what it is. The comic book vibe is also reflected within the melodramatic performances of the cast. The ensemble includes Yvonne De Carlo (Silent Scream, “The Munsters”) as Whitney’s landlady, and Brian Robbins (“Head of the Class”), Pamela Bellwood (The Incredible Shrinking Woman), Miranda Wilson (“Days of Our Lives,” “Santa Barbara”), and Vince Edwards (The Seduction) as fellow tenants. Everyone gets a chance to strut their stuff, whether it’s De Carlo tormenting Mullowney’s Whitney over the house rules or Edwards, playing an actor, doing an impromptu scene that appears to be a vicious assault. Everyone gets to die, too, and the players all seem to have fun with their different respective demises. Cellar Dweller was photographed to look like a comic book, too. Cinematographer Sergio Salvati (1990: Bronx Warriors, The Beyond) shot the movie to match the panels that are constantly being drawn in it, so it looks dark and damp, with dramatic angles and creative framing. It’s not as vibrant or colorful as, say, Creepshow, but it works. And, Salvati’s expert use of shadows makes the monster look fearsome, even when it can hardly be seen. For most of his career, John Carl Buechler toiled away on the sidelines, working his magic to make other filmmakers look good. But every once in a while, he got to make himself look good in that regard, too. He was taken far too soon, but he leaves behind a huge legacy, both in his movies and in his influence on other artists. He’s gone, but he’s far from forgotten.